Sometimes people ask me what it takes to become a translator. Can anyone who’s bilingual translate? The short answer is no. Just because someone is bilingual and has the ability to understand and interact in both languages doesn’t mean he or she has the skills necessary to translate something correctly from one language to another. I find that with the bilingual person, there’s almost always one language they’re more familiar with than the other. What that means is that in the less dominant language, the level of vocabulary wouldn’t be the same and there wouldn’t be the same ease of expression. It makes a difference. They must stay flexible in terms of the time they spend working, the types of documents they translate, the subject matter they take on, etc. In my time as a translator, I’ve seen bilingual people who are not in the translation field do their own translations. The most common mistake they make is that they try to simplify the process as much as possible. For example, they will write in a conversational, informal manner. The will avoid research, opting instead for a more personal feel. The translation process is not about simplification, it’s about conveying everything, even the little things, clearly. And that’s very complex. Annette Labbé is Owner and lead translator at Write 2 the Point. Annette established her business in 2011. She has been translating since 2009, writing professionally since 2007, but it has been her lifelong dream to do so. 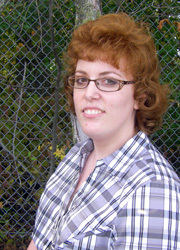 From 2007-2008 she wrote a weekly pop culture column that ran for 71 weeks or so in the Welland Tribune. She is a member of the Welland-Pelham Chamber of Commerce. Annette Labbé was born and raised in the Niagara Region, attended French-language schools (elementary school and high school) and subsequently obtained the degree Bachelor of Arts with Major English and Professional Writing, Minor in French from Brock University. While in University she was on the Dean’s Honours List. Please visit Write 2 the Point to learn more about Annette and how she and her team can help you succeed today.